Deals- Adonis Switch 2-in-1 Stylus & Pen and 2 BIG Giveaways Ending Very Soon! I love my iPad Pro and Apple Pencil, but let’s face it, neither is exactly inexpensive, and not everyone needs or wants this setup. For those with a different model of iPad or an iPhone who would still like to take advantage of a stylus, the Adonit Switch is a superb choice. 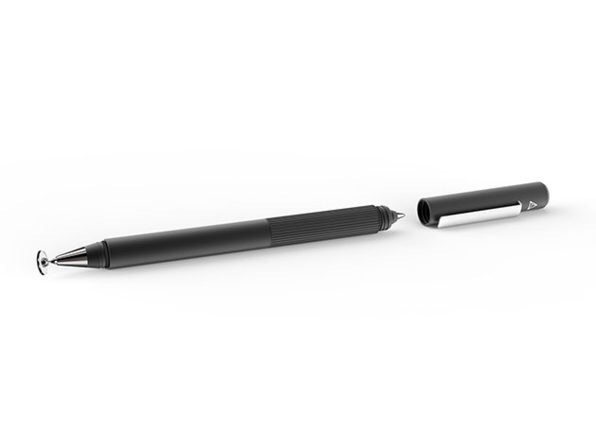 It is versatile, inexpensive, and far more precise than most standard capacitive styli. You know the kind I’m talking about. The plastic or metal stick with a kindergarten crayon tip on the end that’s absolutely useless. The Switch’s Precision Disk creates an exact contact point, giving you the same level of precision as a Bluetooth or Active Capactitive Stylus, without the much higher price tag.